THE PROVEN FIVE-STEP STRATEGY FOR FINDING THE JOB OF YOUR DREAMS! Block’s proven method is the only way to truly seize control of your future, land the job you want, and earn the pay you deserve. Jay A. Block is an industry pioneer and one of the nation’s leading executive career and empowerment coaches. 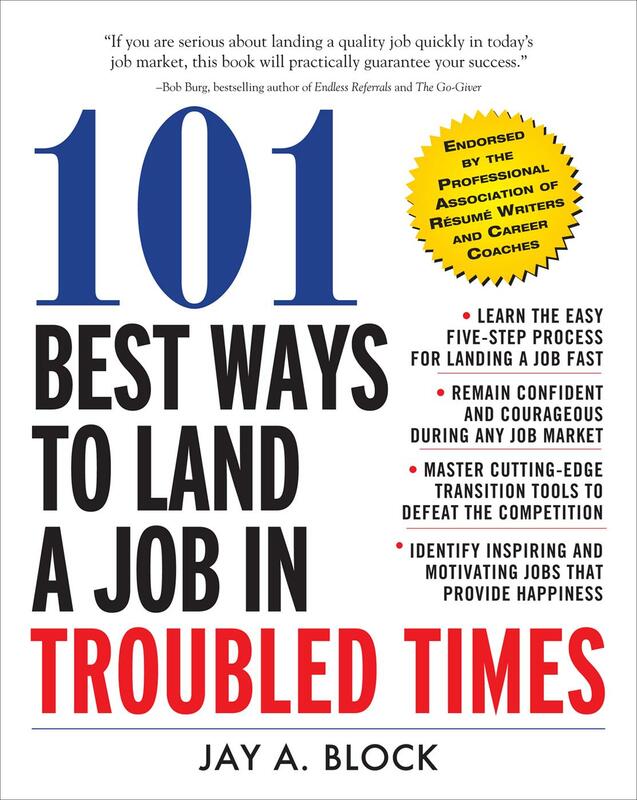 He is the author of 15 career and motivational titles, including the classic 101 Best Résumés.